Willie Mae "Big Mama" Thornton only notched one national hit in her lifetime, but it was a true monster. "Hound Dog" held down the top slot on Billboard's R&B charts for seven long weeks in 1953. Alas, Elvis Presley's rocking 1956 cover was even bigger, effectively obscuring Thornton's chief claim to immortality. That's a damned shame, because Thornton's menacing growl was indeed something special. The hefty belter first opened her pipes in church but soon embraced the blues. She toured with Sammy Green's Hot Harlem Revue during the 1940s. Thornton was ensconced on the Houston circuit when Peacock Records boss Don Robey signed her in 1951. She debuted on Peacock with "Partnership Blues" that year, backed by trumpeter Joe Scott's band. But it was her third Peacock date with Johnny Otis' band that proved the winner. With Pete Lewis laying down some truly nasty guitar behind her, Big Mama shouted "Hound Dog," a tune whose authorship remains a bone of contention to this day (both Otis and the team of Jerry Leiber and Mike Stoller claim responsibility), and soon hit the road a star. But it was an isolated incident. Though Thornton cut some fine Peacock follow-ups -- "I Smell a Rat," "Stop Hoppin' on Me," "The Fish," "Just like a Dog" -- through 1957, she never again reached the hit parade. 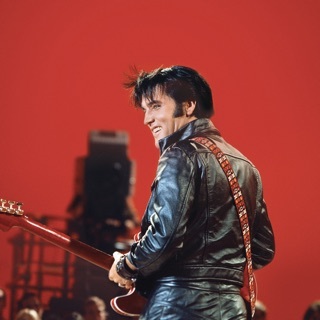 Even Elvis was apparently unaware of her; he was handed "Hound Dog" by Freddie Bell, a Vegas lounge rocker. Early-'60s 45s for Irma, Bay-Tone, Kent, and Sotoplay did little to revive her sagging fortunes, but a series of dates for Arhoolie that included her first vinyl rendition of "Ball and Chain" in 1968 and two albums for Mercury in 1969-1970 put her back in circulation (Janis Joplin's overwrought but well-intentioned cover of "Ball and Chain" didn't hurt either). 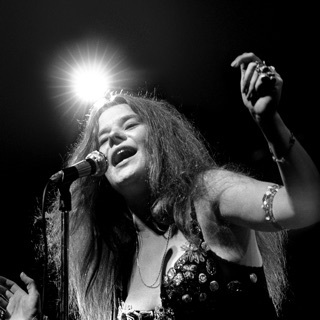 Along with her imposing vocals, Thornton began to emphasize her harmonica skills during the 1960s.